Buses – a young person’s view | En Avant! Over the summer holidays, pteg, as part of the cross-sector ‘Taking forward travel and transport for children and young people’ group, brought together young people, transport operators, local transport authorities, central government and voluntary sector organisations to discuss bus travel. I’m going to be really late and am getting really wet…I wonder if the bus was really early? It was last week and I got a warning at work for being so late, how else am I meant to get to work it’s too far to walk. Bus finally arrived and just paid £5.90 for a return that only takes 20 minutes because I’m an adult according to the bus driver but technically I’m still a child until I’m 18, why should I pay for an adult when I’m not allowed in pubs, or to vote and not allowed my own phone contract yet I’m allowed to travel on a bus for an adult? I’m a student to get to work it costs me 2 hours of my wages to get to work. And it’s just as bad when you’re under 16; my friend who is 15 got told she needed proof of ID but she goes to school what’s she meant to do? Carry her passport with her every time she wants to get a bus? The driver was so rude it was like I wasn’t a real person yet I’m paying for an adult it’s not even like I’m trying to pretend I’m 15 or 16. He snatched my money and set off before I’d even got to my seat which sent me flying into an older woman who tutted and muttered yob. I am not playing music loudly, smoking, drinking or intimidating anyone unlike those men sat at the back are and they clearly aren’t young people. Finally arrived: late. The driver missed my stop not realising it was a stop so had to walk back…late again. Young people face this sort of treatment regularly on their bus journeys, is this a fair system? Childs fares while they are still classed as children. 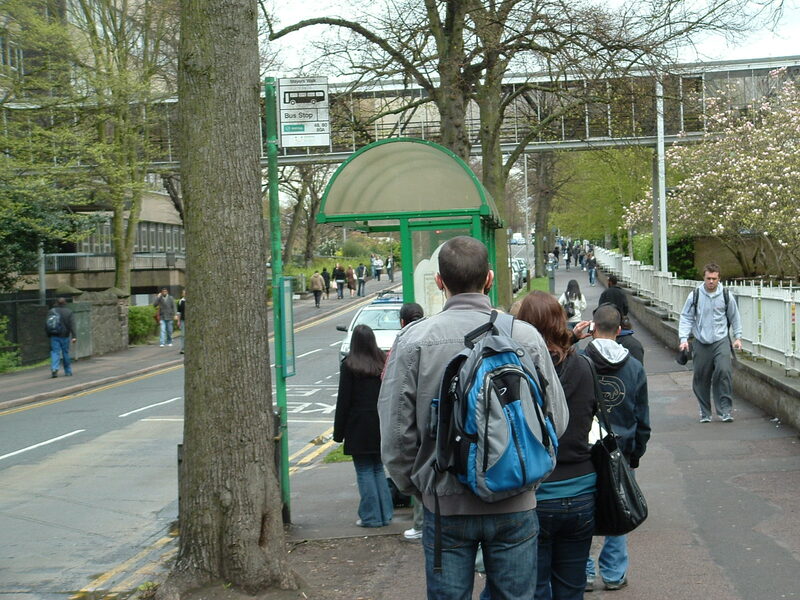 The bus stops to be more than just a pole- they at least need a timetable and shelters.